We have several packages that are organised around the full spectrum of treatment and services that we know you will need. It's very easy to look at a bare cost for an operation, but after and sometimes prior to the operation, there are other requirements such as MRI or CT scans, physiotherapy, blood tests and so on. They all add up and dependent on the operation, can be significant. This is why we package the whole procedure, so you know the full cost at the time you make your decision. We also use a specific panel of medical healthcare professionals to ensure the best treatment and outcome. Dr. Constantinos Panayi is a fully qualified Orthopedic and Trauma Surgeon with many years of experience in treating orthopaedic issues ranging from common orthopaedic problems, sport injuries through to degenerative problems. With our up to date clinic, we provide a full range of orthopaedic facilities, designed to treat sports and orthopaedic problems, focusing on key parts of the musculoskeletal system: knee, shoulder, elbow, hands, hip, spine, shoulder, foot and ankle injuries. We also specialise in orthopaedic trauma surgery (fractures), limb reconstruction, deformity correction, and non-union and bone infection surgery. We also focus on elective orthopaedic surgery like knee arthroscopy, hip replacement, knee replacement and carpal tunnel release amongst others. 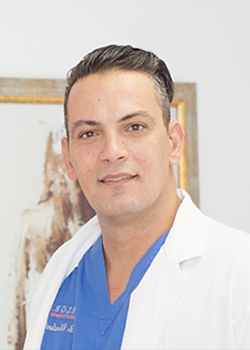 Dr. Lemonas was awarded his doctorate in medicine from Semmelweis University of Medicine and completed his Plastic surgical training in Central London Hospitals. He was employed by prestigious hospitals such as Barts Health and King’s College Hospital, Princess Alexandra Hospital and Northampton General Hospital. He also spent time at the Plastic Surgery department of Columbia Presbyterian Hospital, New York. 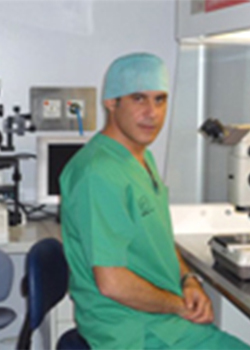 Dr.Savvas Koundouros is an accredited clinical embryologist with almost 20 years of working experience in the field of assisted human reproduction. He is a British graduate (University of Birmingham) and has specialised in clinical science at King’s College Hospital in London. 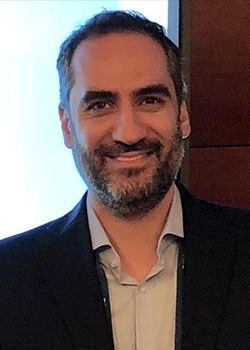 Dr Koundouros has substantial experience in the field of human embryo pre-implantation genetic diagnosis, having performed most possibly more embryo biopsies and subsequent diagnoses worldwide.